The citadel has four gates placed following the cardinal points. In the photo is the Tien gate, facing south. It consists of three entrances, each is 9.5 m tall and 15.17 m wide. According to the Ho Citadel Heritage Conservation Centre, receptionists and tour guides are ready to support visitors during the Lunar New Year holiday (Tet). The centre said tourists will also be treated to a photo exhibition, musical concerts of Vietnamese folk art, such as Cheo (traditional opera) and Tuong (classical drama). Local authorities and the centre have organised a meeting with local businessmen to clarify ethical and legal practices that must be followed during Tet, which would be a bustling period for local tourism. The Ho Dynasty Citadel was Vietnam’s capital under the Ho Dynasty (1398-1407). 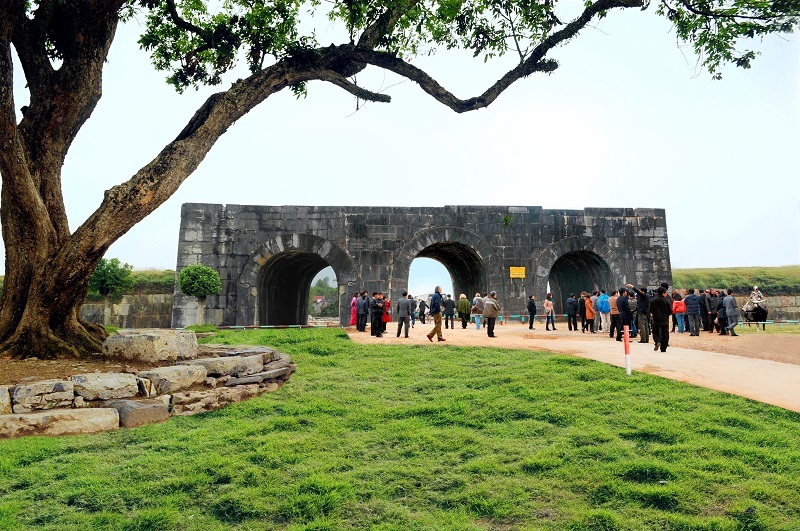 Located in Vinh Loc district, the citadel measures 870m by 883m and was built in 1397. It is the only citadel in the country built entirely of stones and remained nearly intact throughout the nation’s history.